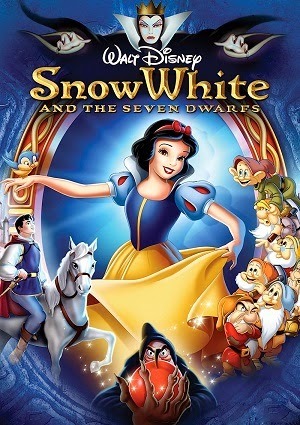 This is the story of a sweet and innocent young lady whose name was Snow White; she was a princess who suffered the rejection of her evil stepmother: The Queen Grimhilde; her mother died when Snow White was a baby and her father married again. The queen has a deep hatred for her stepdaughter, and the princess suffered for it. However Snow White never lost hope that one day will find her true love. Over time, Snow White is becoming a more and more beautiful woman, and envy seizes his stepmother. Then the Queen ordered the murder of Princess because there should be no more beautiful woman in the kingdom. The lovely Snow White escapes death and is hiding in a forest, on her way meets 7 dwarfs who offer their cabin so you can sleep and eat. All Dwarfs have a unique personality that will win the affection of the princess. Always generous and grateful, Snow White decides to clean and cook for the dwarfs with who lives very happily, surrounded by nature and always doing what she feels is right, but one day Grimhilde discovered, the princess is not dead as were his orders; furious decides to poison Snow White with an apple. But Snow White falls into a deep sleep from which she can only get her a kiss of true love.